July 24, 1935 ~ Nov. 6, 2017 - Jan was most passionate about her family, her art, and her career in newspaper advertising. Janice Rozella (Cline) LaFollette left the earthly bounds of this world to be with the Lord on November 6, 2017 after a long battle with breast cancer. She was 82. Jan was born in Sioux Falls, SD on July 24, 1935 and was the youngest of two daughters of Richard M. and Jennie O. Cline of Hubbard. She graduated from Beaverton High School in 1953. Jan moved to Hubbard in 1966 and liked it so much that she never left. She was most passionate about her family, her art, and her career in newspaper advertising. She taught art and was involved with the Woodburn Art Center & Glatt House Gallery in Woodburn, serving as the art center's president for a number of years starting in the late '60s. 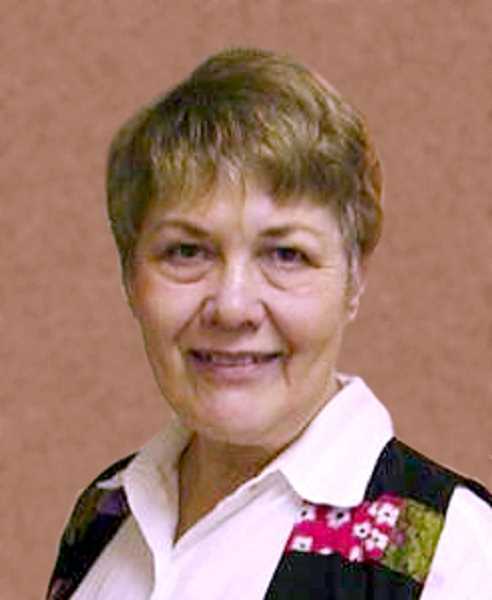 Jan had a long career in community newspaper advertising with the North Willamette News, Canby Herald, Woodburn Independent and Molalla Pioneer, and retired as publisher of the Pioneer in 2000. Always civic-minded, Jan served on a number of committees for the City of Hubbard, including the town's annual Hop Festival, held the third Saturday in July. She also was an avid antique collector and was an active buyer, seller and trader of antiques at area antique malls and swap meets. Jan was preceded in death by her older sister Maxine (Cline) Galvin of Beaverton. She is survived by her husband of 37 years, Ronald LaFollette, the one-time mayor of Hubbard; her three sons and their spouses, Dean and Traci Sprecher of Wilsonville; Jeff and Darlene Sprecher of Woodburn, and Brett and Jan Bell of Beavercreek; her daughter and son-in-law Leigh Anne and Aaron Cobb of Hubbard, and 15 grandchildren and 18 great-grandchildren.